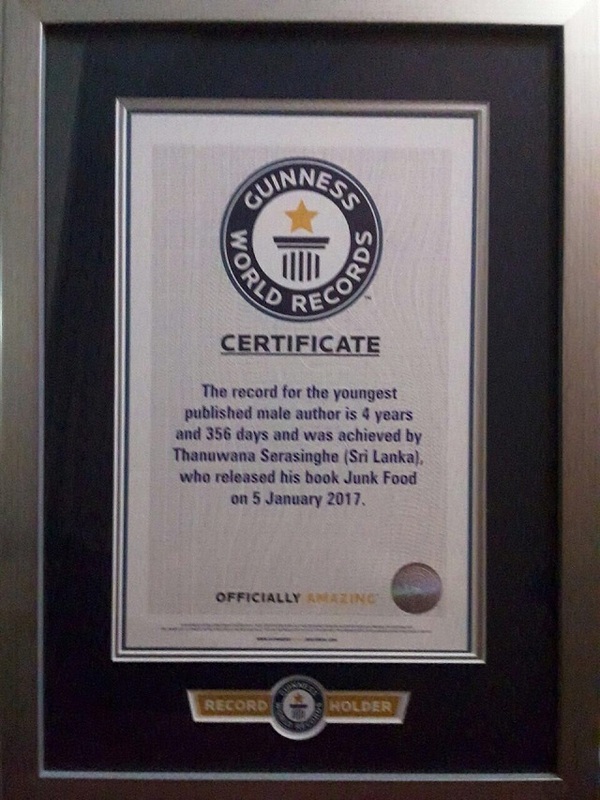 (Seychelles News Agency) - A 4-year old Sri-Lankan boy living in Seychelles has set a new Guinness World Record for being the youngest author to ever publish a book. 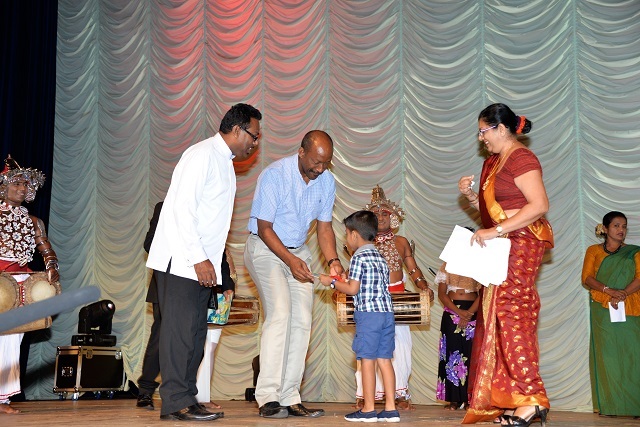 Thanuwana Serasinghe, born to a Sri Lankan couple residing in Seychelles, told SNA that he just wanted to let the kids know about what kind of food they are eating and what it can do to them. “I see many kids eating junk food. By reading this book, they will think twice before eating food that is not good for health,” said Serasinghe. The book is based on a young boy who likes to eat chocolate and one day when he was playing with his friends, he found out that he could not run and others laughed at him. He felt so sad that he sat under a magic apple tree. The tree spoke to him about how healthy fruits and vegetables are. 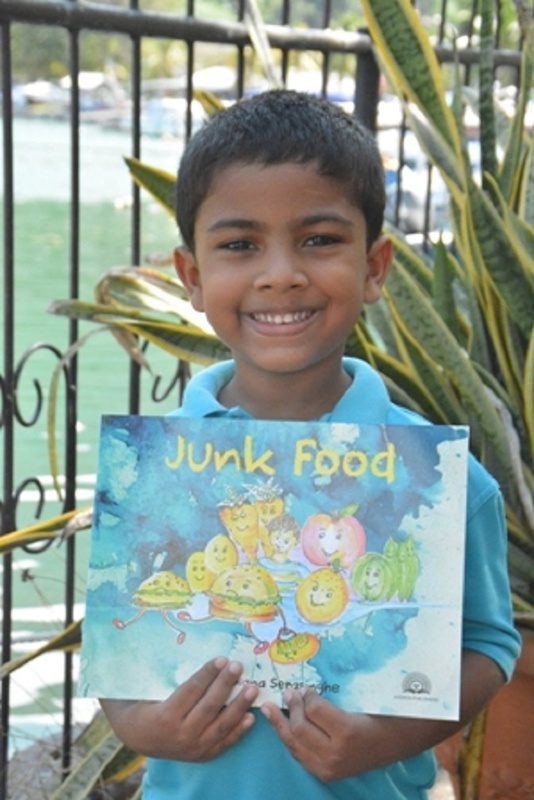 The young author took three days to write the book entitled ‘Junk Food’ which is in English and published by the Sri Lankan Publishing House, Sooriya Publishers. Serasinghe has beaten the record of Adauto Kovalski Da Silva of Brazil who released his book ‘Aprender é Fácil’ (learning is easy) on October 15 in 2005 at the age of 5. Thusitha Serasinghe, the father of the 4-year old writer, described his son as an avid reader and someone who has shown a keen interest in learning. “His interest to learn enabled him to write alphabets of seven different languages even before he started kindergarten,” said Thusitha Serasinghe. The young record holder attributed the success of his book to his teachers who encouraged and helped him developed the content. 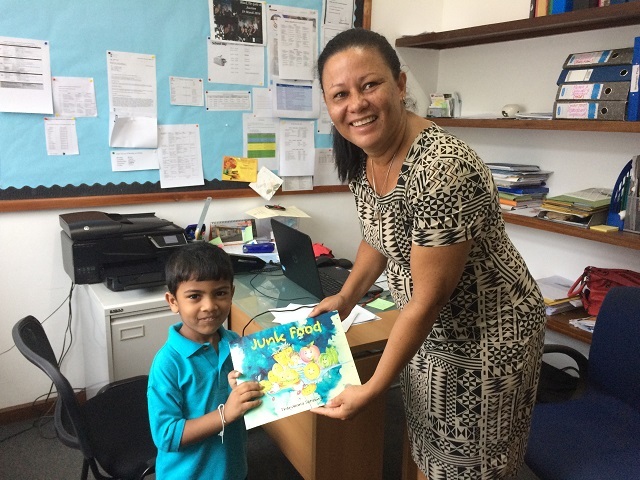 At present Thanuwana Serasinghe is a grade 2 student at the International School in the Seychelles’ capital Victoria. Serasinghe has presented copies of his book to Vincent Meriton, the island nation’s Vice President and Tikiri Herath Gunathilake, the High Commissioner of Sri Lanka in Seychelles. The young author hopes his book reaches all the schools in Seychelles, a group of 115 islands in the western Indian Ocean, and becomes a source of inspirations for young writers.